Announced at WindEurope 2017 – Leading Lidar provider, ZephIR Lidar, has released details of a new meteorological standard for offshore substations within operational offshore wind farms. Substations can now be delivered with a ZephIR 300M wind lidar as part of a Meteorological Monitoring Module to provide remote wind measurements from the system’s installed location up to 200 metres above without the need of a traditional meteorological mast. ZephIR Lidar has further confirmed the appointment of ENGIE Fabricom, part of the global group ENGIE, as a Trusted Service Provider to provide the engineering and construction of the Lidar in to the Met Monitoring Module. The offshore wind industry has for many years benefited from the contribution of Lidar through its many advantages when compared to hub-height met masts. Deployment of masts in offshore locations presents significant challenges including economics, planning, foundations, maintenance and ecological requirements. An illustration of the growing role of Lidar is the fleet of ZephIR Lidars mounted on fixed and floating platforms for bankable wind resource assessment campaigns during the feasibility studies for wind farms. This, the most recent application of Lidar offshore, now moves in to the operational phase of wind farms ensuring safe and efficient operation of the site for the OEM and owner / operator by utilising already available infrastructure – an offshore substation. 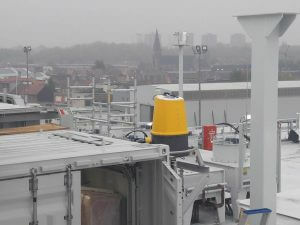 ZephIR 300M deployed on offshore substations is used for studying wind profiles as information for both helicopter approach and measuring wind at turbine nacelle level. Data is monitored, quality-checked and integrated to the turbine and site’s SCADA system. In this way, continual power curve assessment can also benchmark performance and provide advance warning of problems, assisting with the planning and execution of maintenance strategies. ZephIR 300M installed with ENGIE Fabricom during offshore substation fabrication. ENGIE Fabricom and ZephIR Lidar can confirm two contracts are already in place on large offshore wind farms with further details to be released in 2018. 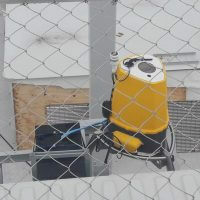 ZephIR Lidar technology was first deployed on an offshore platform at the Beatrice Offshore wind project in 2005 – a ground-breaking project within the industry as a world-first installation of Lidar on a fixed platform offshore. The £2.6bn Beatrice Offshore Windfarm Ltd (BOWL) project has since reached Financial Close on 23 May 2016. The project will be one of the largest private investments ever made in Scottish infrastructure and is expected to power approximately 450,000 homes (around three times the number of homes in the Moray and Highland regions). Structured to meet the challenges of tomorrow, ENGIE Fabricom is a leading player in the markets of infrastructure, services, industry, energy and Oil & Gas. Its strong presence in Belgium and Luxembourg, as well as its branches and sister-companies in Europe, enable it to participate in any major project, whether local or pan-European. Staff of over 5000 employees offers expert solutions in a variety of technical fields covering five major markets: Infrastructure, Tertiary, Industry, Energy, and Oil & Gas.